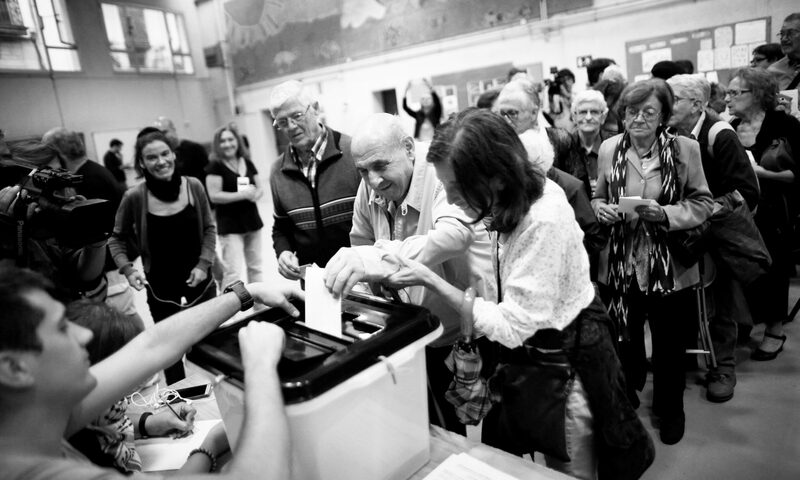 At 7:05 in the morning, the Mossos d'Esquadra arrived and stayed outside the polling station in a peaceful manner. 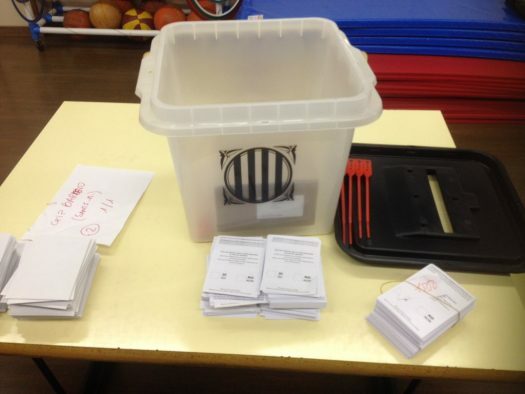 During the morning the IT access was blocked and it wasn't possible to record votes until the afternoon. Several Mossos d'Esquadra vans arrived and blocked the entrance and wouldn't allow anyone to exit. Finally once the count was done, they seized the ballot boxes. The ballot boxes and papers have already arrived. In the Barkeno CEIP, the Mossos d'Esquadra won't allow anyone to enter and prevent those inside from leaving. 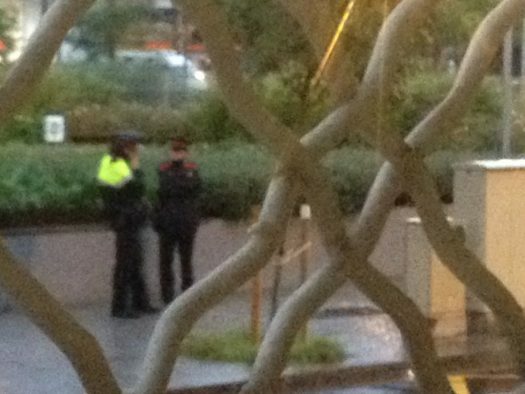 Mossos d'Esquadra outside the school. 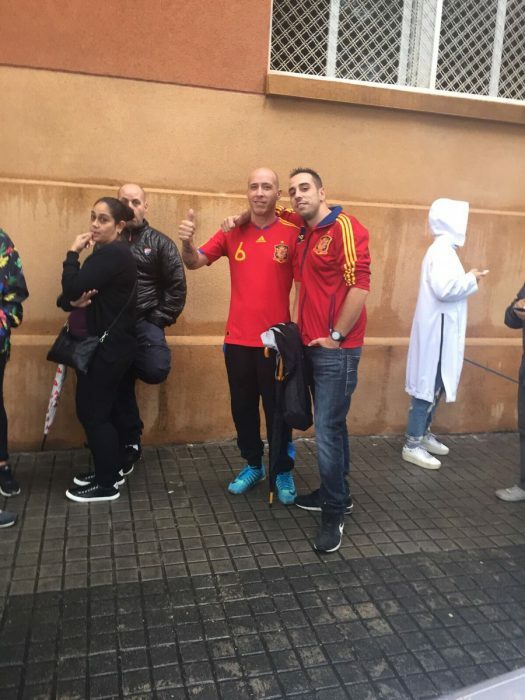 Two men in Spanish football shirts queuing to vote. 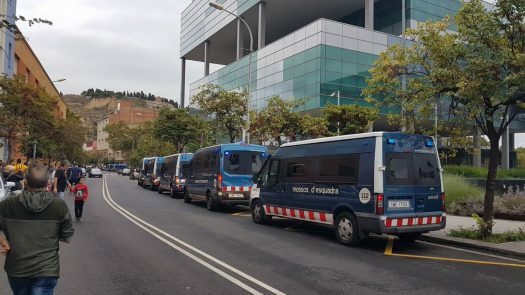 Vans of the Mossos d'Esquadra, who do not let anyone enter or leave.